← Would you go long haul? But in the end, I decided it would be selfish not to share the secret (clearly a lot of visitors are selfish as you won’t find many reviews on TripAdvisor). The ‘formula’ here is fairly unique. The Caserio itself is a big villa, which has been split into 5 stylish guest apartments, together with the convivial owners’, Johnny and Sarah’s, home. Each apartment has a kitchen, dining area, bedroom(s) and outdoor space and you can self-cater as you wish. The real treat – and difference – is that Sarah also caters, both for you and your kids. For tired-out parents fed up of boiling up pasta and scooping spaghetti off the floor – then starting all again with their own meal – this is a real treat. Kids’ tea is served most days around 5.30 in the lovely open kitchen and comprises healthy, yummy food that was gobbled down by our two – meatballs, pasta, fishfingers, tomatoes and so on. Meanwhile, we enjoyed a beer or a glass of cava and enjoyed chatting to the other mums and dads. Once the kids had gone to bed, it’s dinnertime for the adults. Sarah offers to bring food to your room – and does this as a matter of course on the first night when you are tired after travelling – but part of the experience is having dinner with the other parents round the big table in the kitchen. Sarah watches the baby monitors whilst Johnny serves the booze (beware!). Food is delicious home-cooking – steaks, tapas, roast cod and so on – and the experience of just being fed and watered is lapped up by everyone. Another nice touch is that Sarah will deliver warm croissants and fresh bread each morning if you want it. Leo loved waiting for them to arrive each day, to the point where he’d sit by the door for 15 minutes in anticipation. The excitement of the basket arriving was palpable! Croissants became part of the holiday routine. 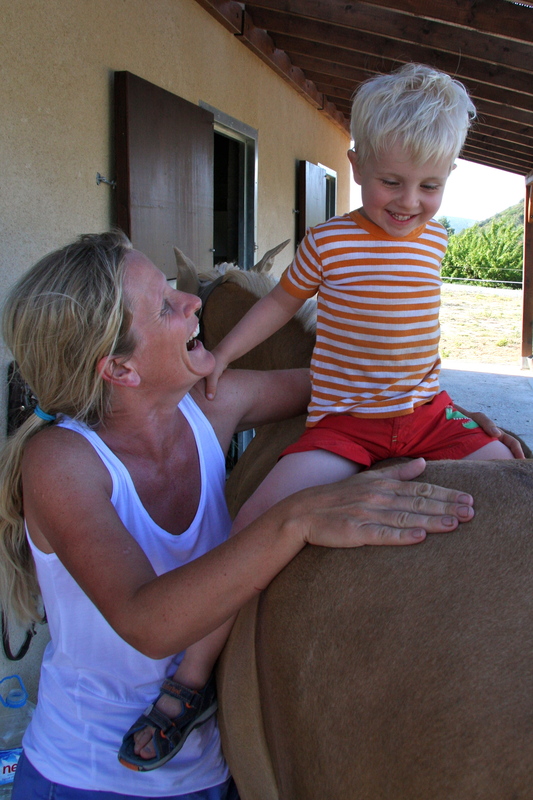 Sarah got Leo on a horse – a miracle! Aside from the food, the Caserio is just a great place to be with your children – you don’t really need to go anywhere. 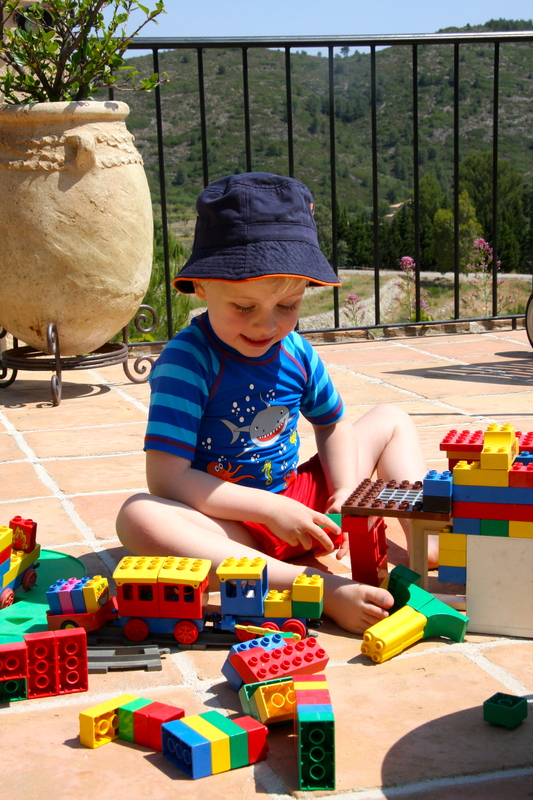 There’s a trampoline, a playground, a lovely pool, a sandpit, loads of toys (Lego, ride-ons, balls) to play with on the terrace, countryside walks from the door and, best of all, animals – bunny rabbits, pigs to feed and horses. Sarah managed to get both Leo and Genevieve on a horse. Seeing Leo overcome his natural reserve to ride with Sarah brought tears to Kirsty’s eyes – a particularly memorable moment. If you do want to leave, then there are sandy beaches a short drive away, and Jalon, the local town, provides low-key distractions with a Tuesday market and cafes for ice creams. Oh and did I mention the view? That’s probably the most stunning feature of all. The sweep down the valley is truly magnificent and adds to the feeling of seclusion and serenity. You won’t want to leave. Getting to the Caserio is easy – fly to Alicante or Valencia (a word of warning about Alicante: the airport was hell for us and we waited an hour for bags. Also the queues for the hire car were horrendous – don’t choose Gold Car!). Personally, I’d go when it’s warm enough to laze about and use the pool; weather was perfect at the end of May, upper 70s every day but never too hot. It’s a place to stay for a week – that’s how the ‘formula’ works best – if you want a two week holiday, maybe head down to the coast your second week. 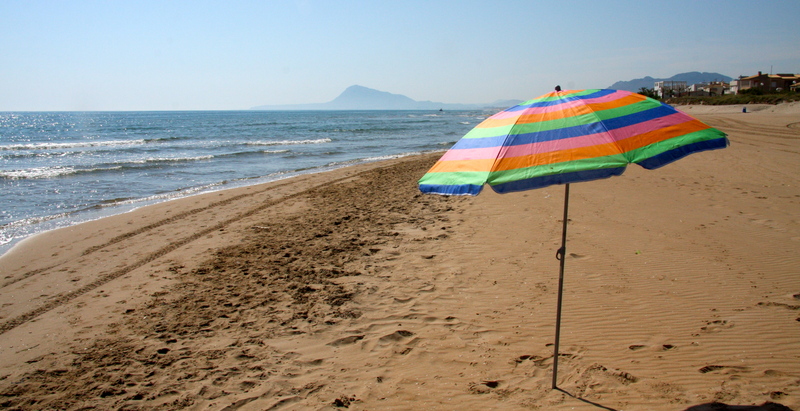 We loved Oliva beach – long, sandy and less developed than some others. I’ll be writing a Costa Blanca destination guide soon, watch this space! 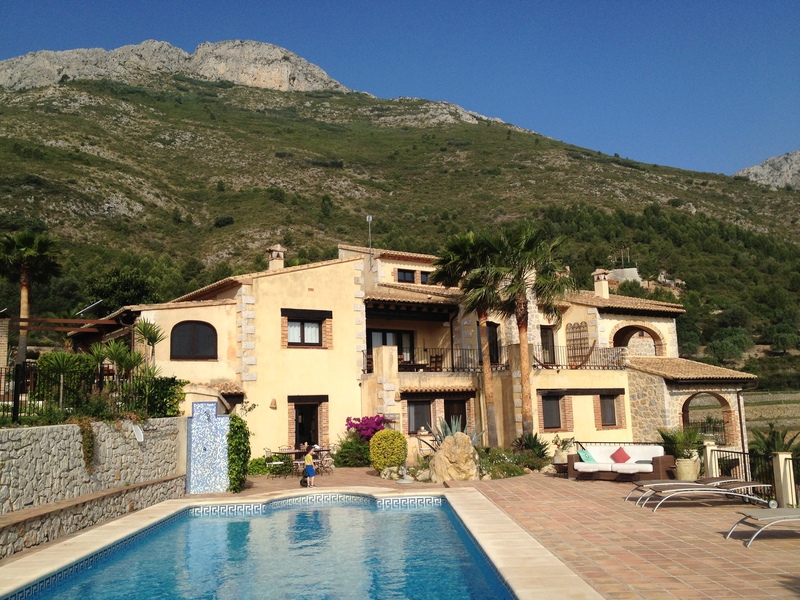 This entry was posted in Accommodation reviews, Europe and tagged baby-friendly, Caserio del Mirador, family holidays, Spain, travel. Bookmark the permalink. My only disagreement with your review is that we went for two weeks and it was perfect, we didn’t run out of things to do as we visited lots of different beaches and having such a relaxing base as Mirador made the holiday one of our best as a family. 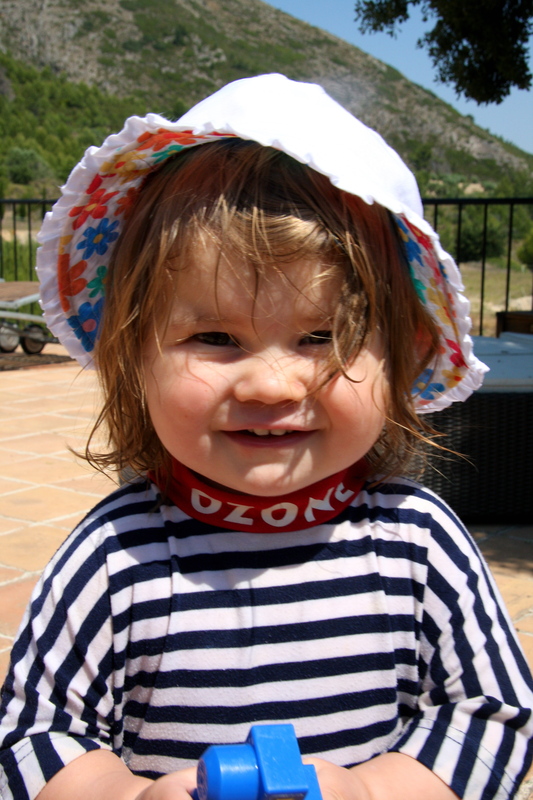 The Trunki Files answers: where to go in Europe at Easter?